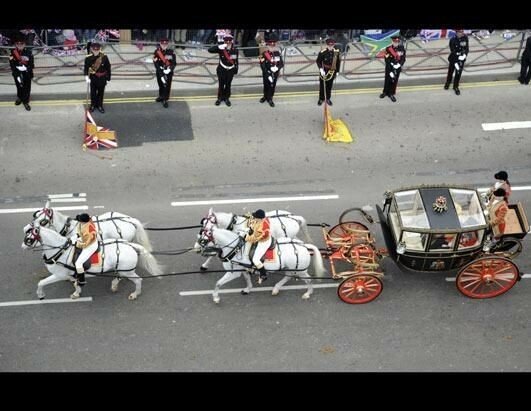 The carriage was pulled by four grey horses, known as the “Windsor Grey Horses”, with another two horses acting as “outriders”. 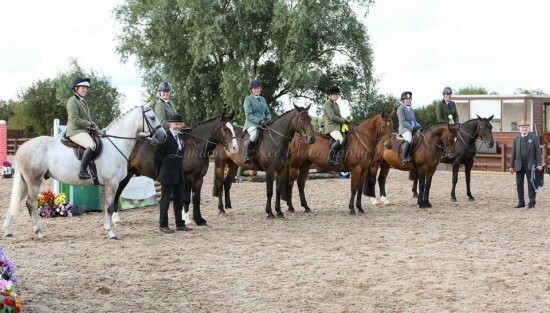 The horses for the carriage were called Sir Basil, Tyrone, Storm and Milford Haven and the two outriders were Plymouth and Londonderry. 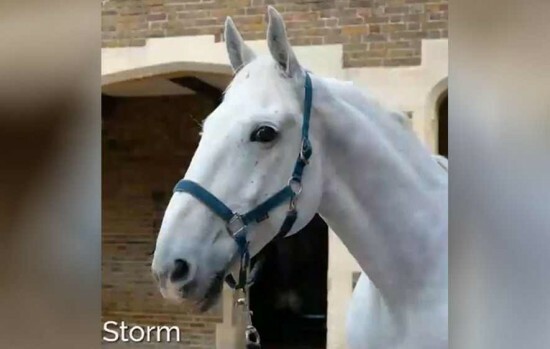 Storm started life in a paddock in Ardstraw and is understood to be one of Queen Elizabeth's favourite horses. 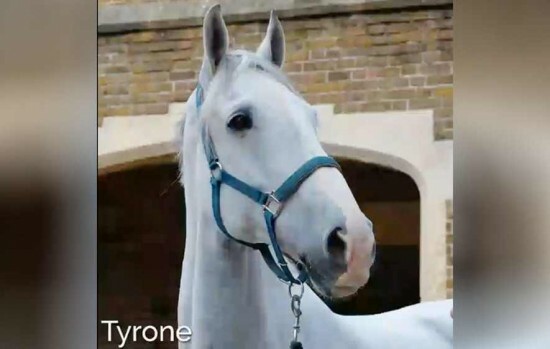 Tyrone is Storm's son and together the two also helped pull Eugenie around Windsor so crowds of wellwishers could wave at her and her new husband as they passed by. 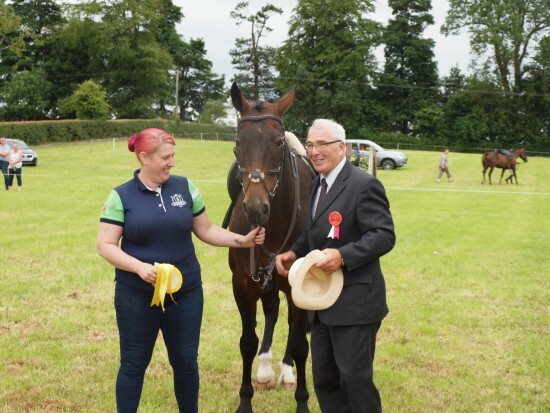 Set in the beautiful rolling countryside of Finvoy near Ballymoney sits Dirraw Farm the setting for an open performance event organised by the Irish Draught Horse Society NI. 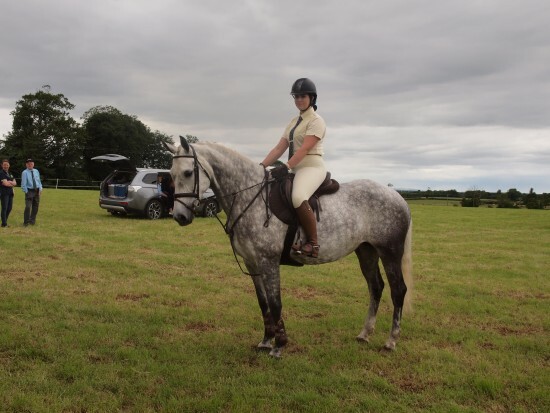 And what a setting it turned out to be. 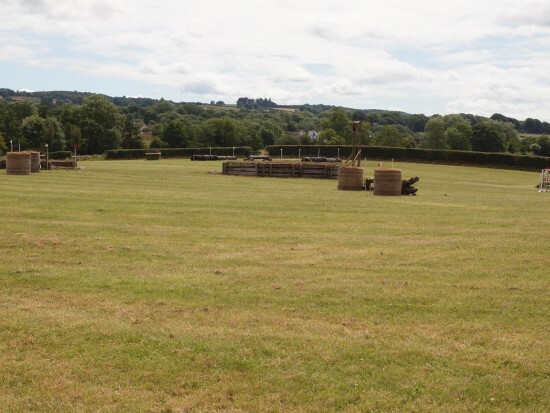 On a glorious sunny day there were 3 rings set out to the highest standard, ring 1 was for the ridden class, ring 2 working hunter and ring 3 the jump cross. 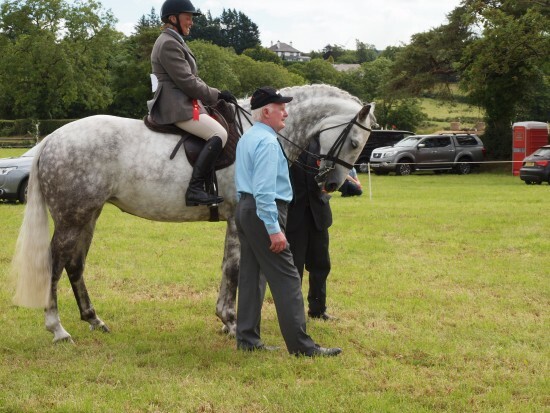 Full credit and a slap on the back must go to Alan Campbell ( owner of Dirraw Farm ) and Paddy Treanor ( committee member IDHSNI ) on their imagination and skill on designing such a delightful course. 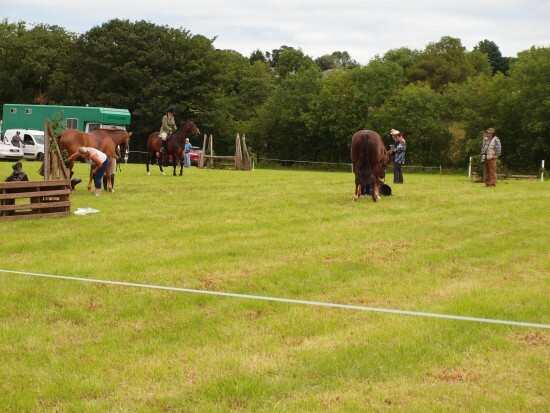 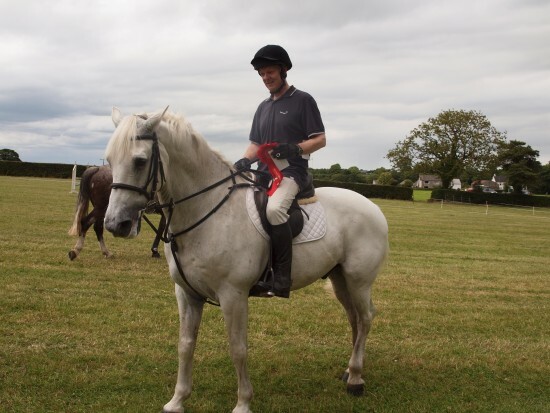 To anyone who couldn't attend ,you missed a really good day out for both horse and rider. 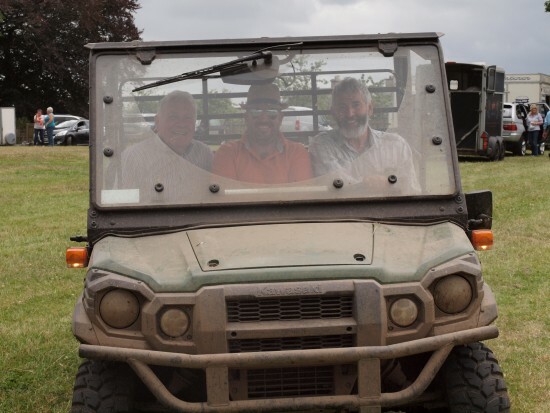 A big cheer for committee members and volunteers who worked tirelessly to ensure the smooth running of this wonderful event. 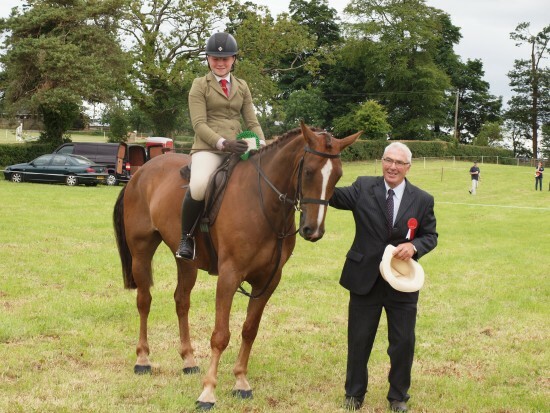 Class 2 1st place, Katy, rider Natasha Adrain along with owner Alison Barron and judge Sam Smyth. 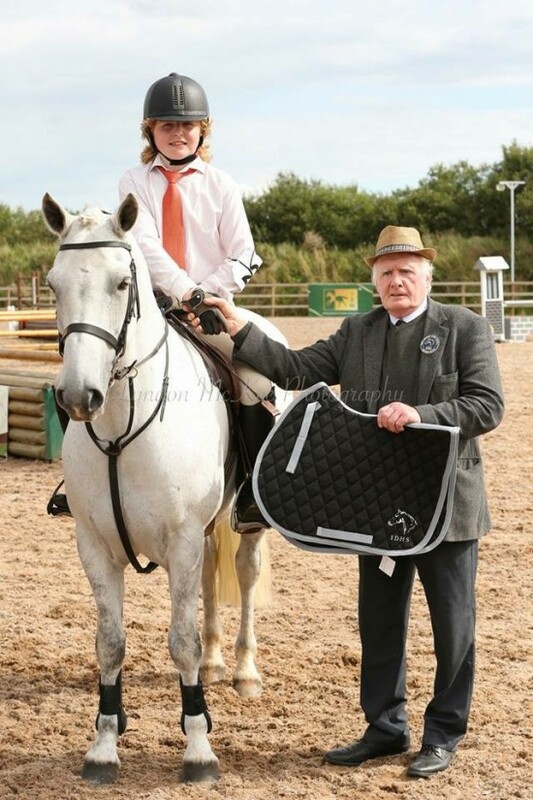 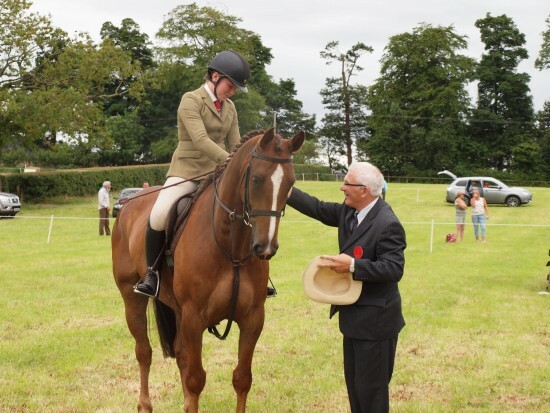 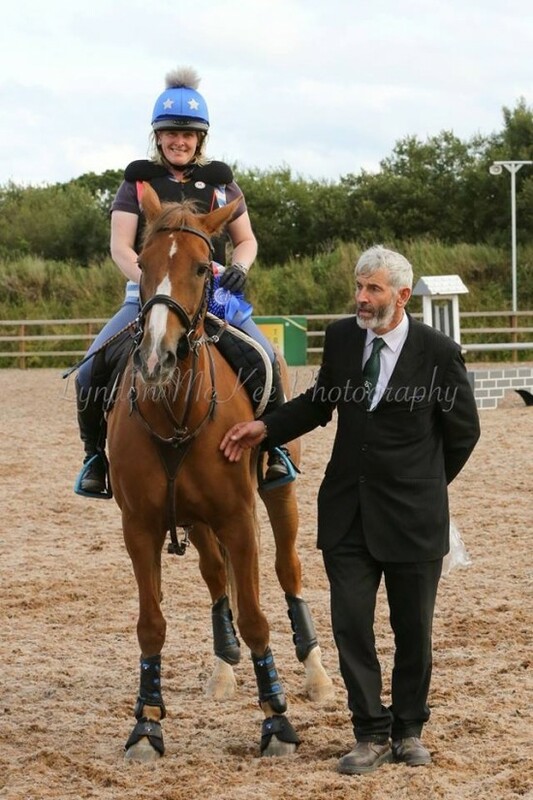 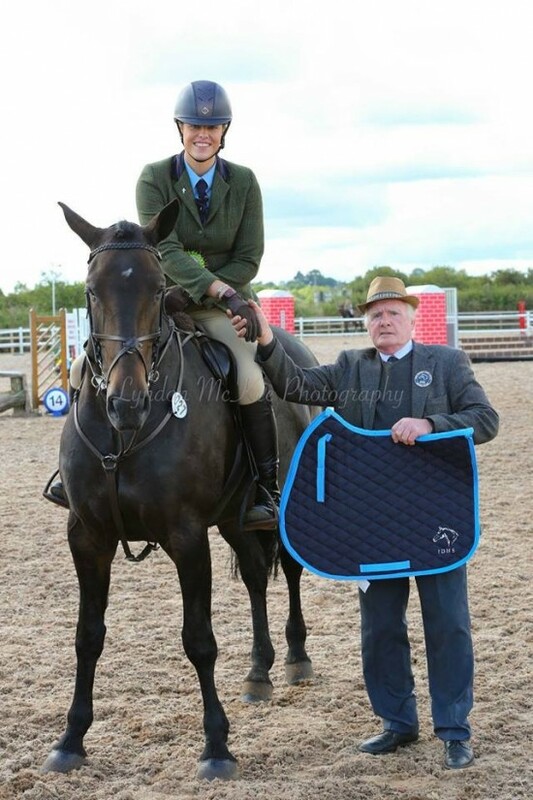 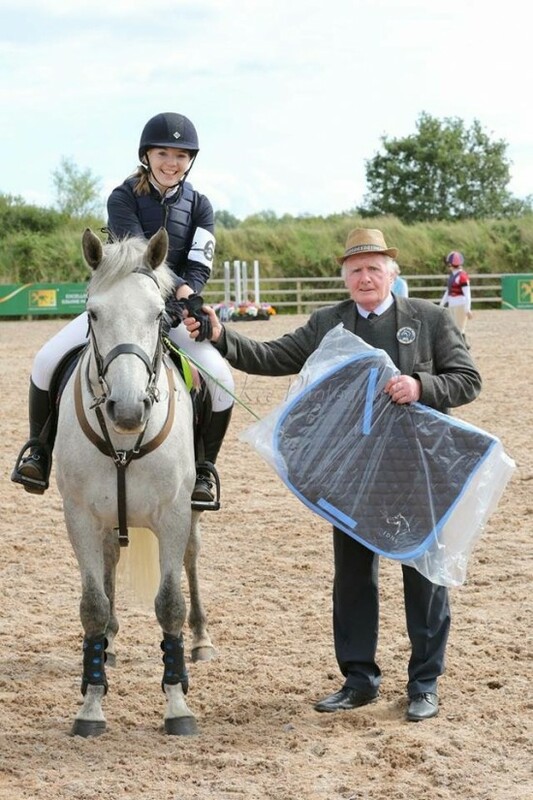 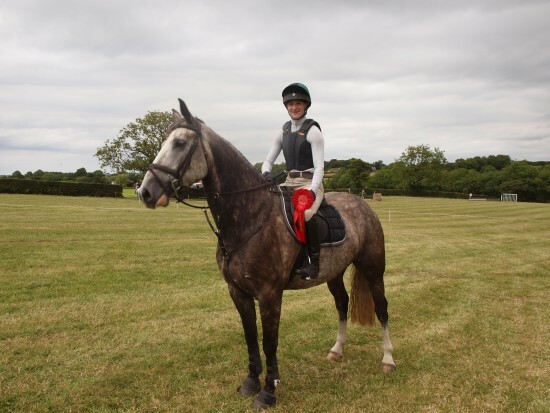 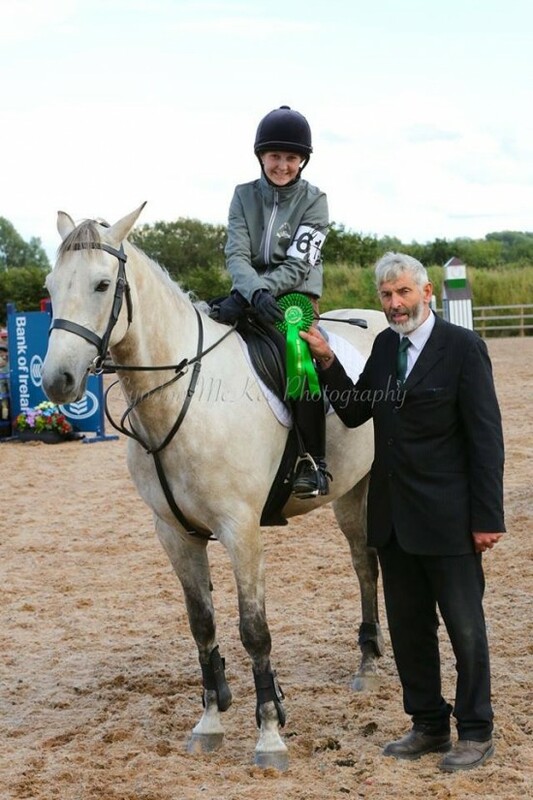 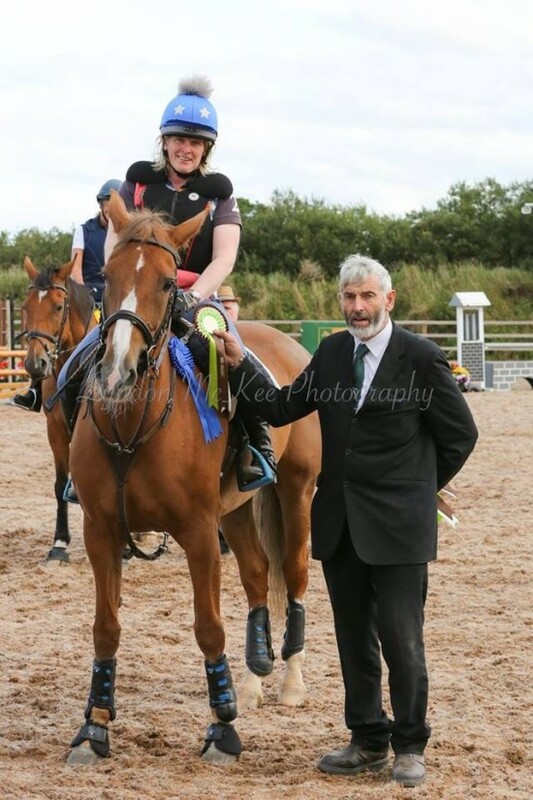 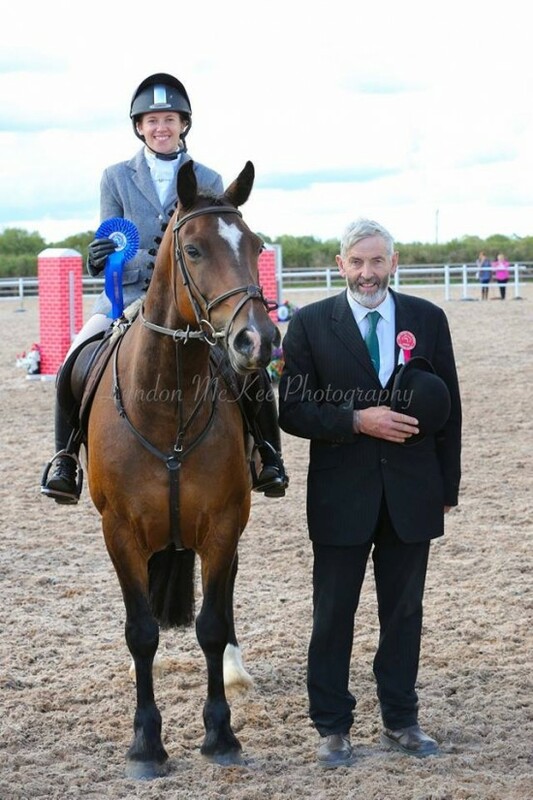 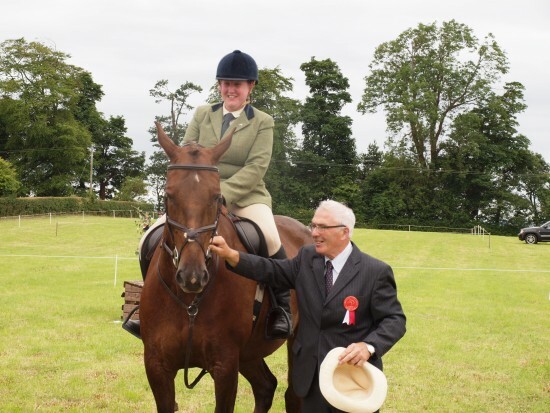 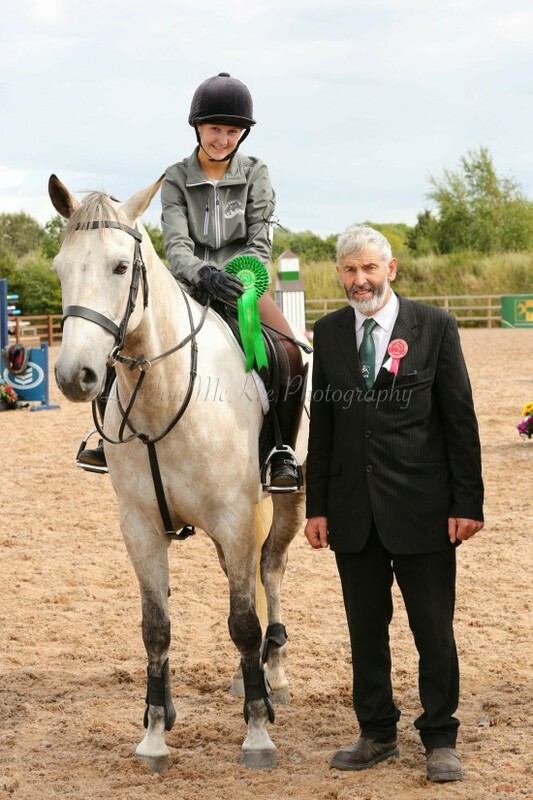 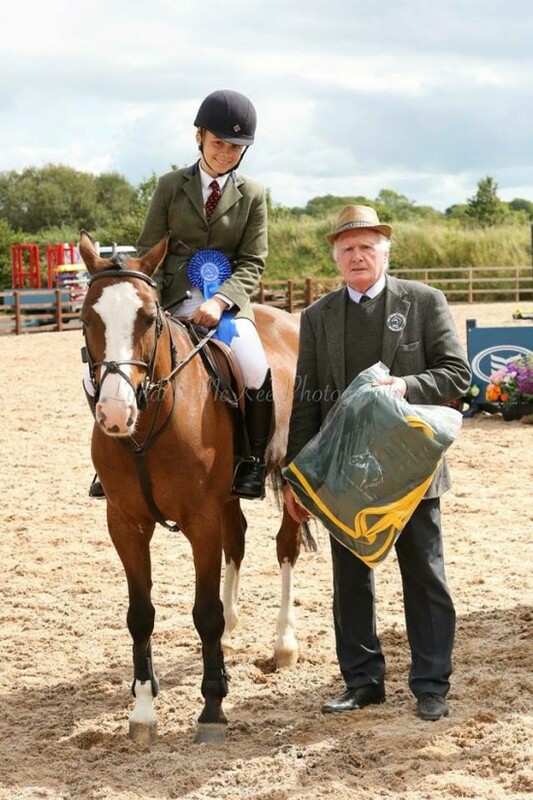 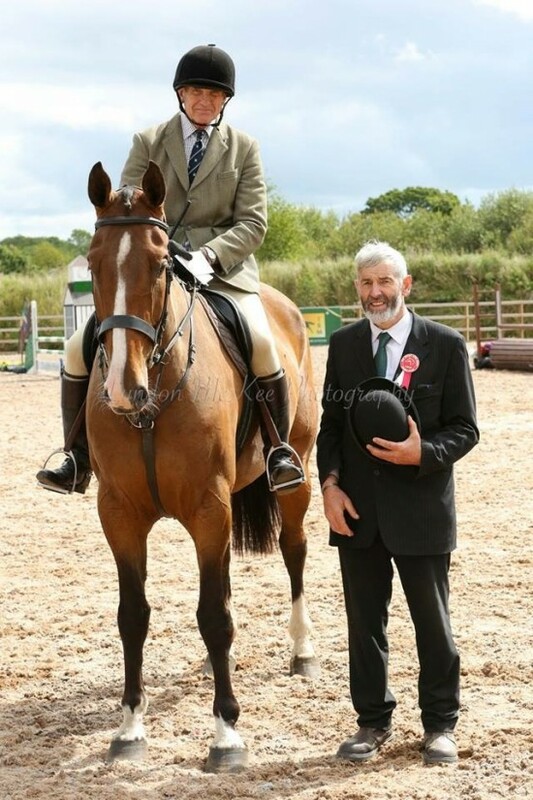 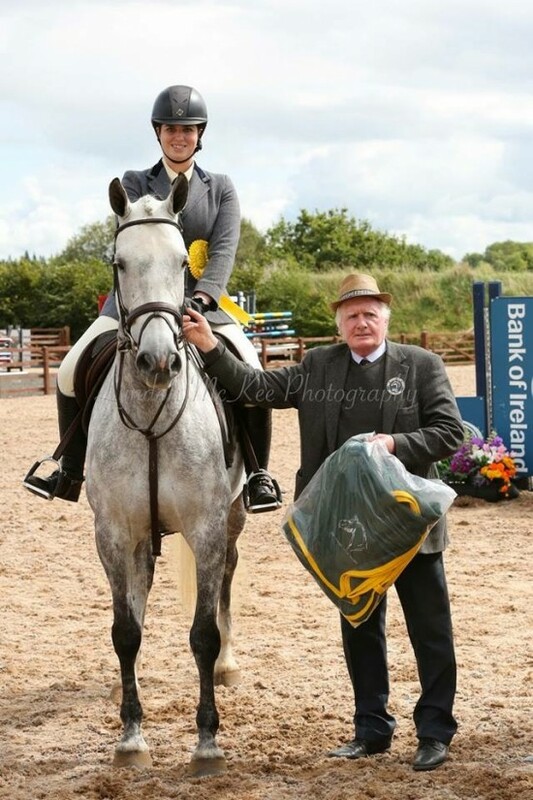 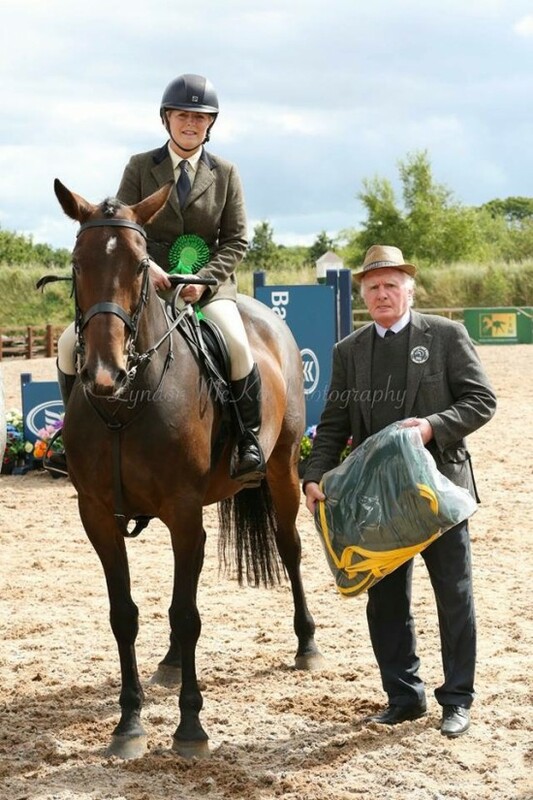 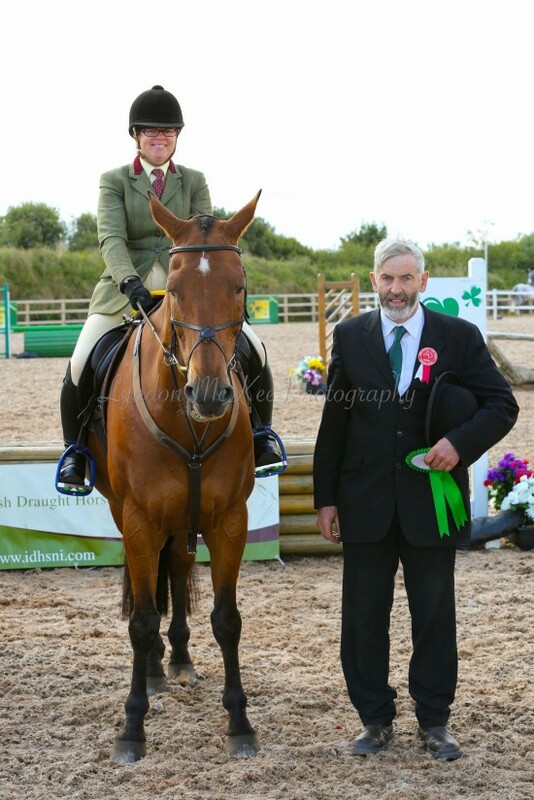 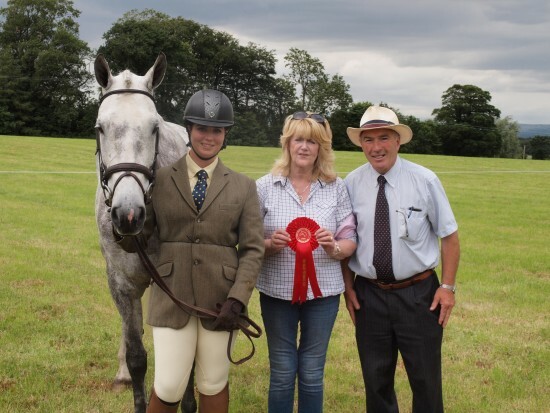 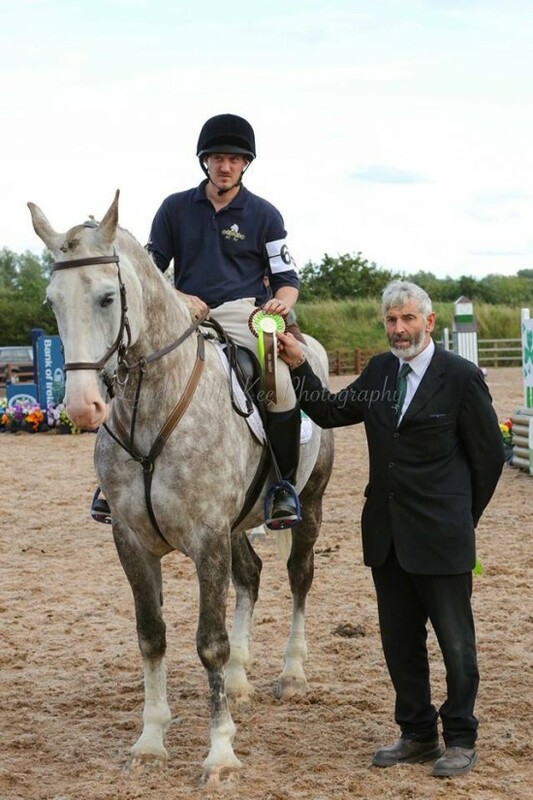 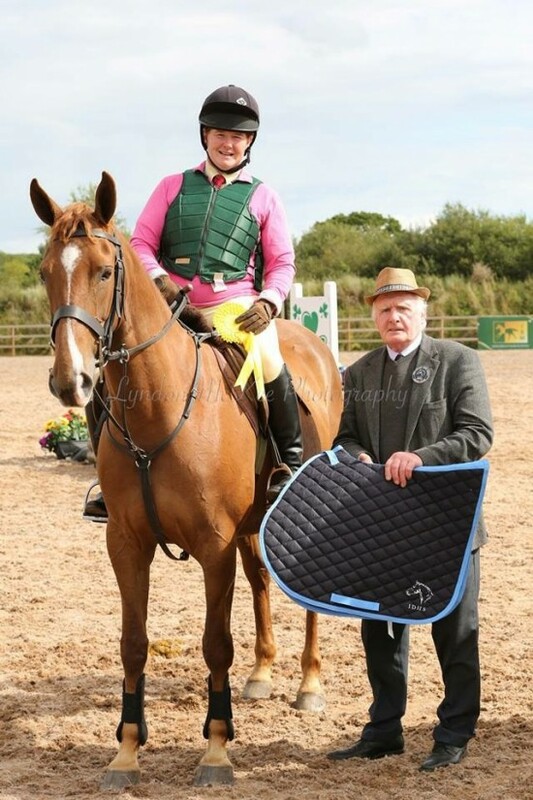 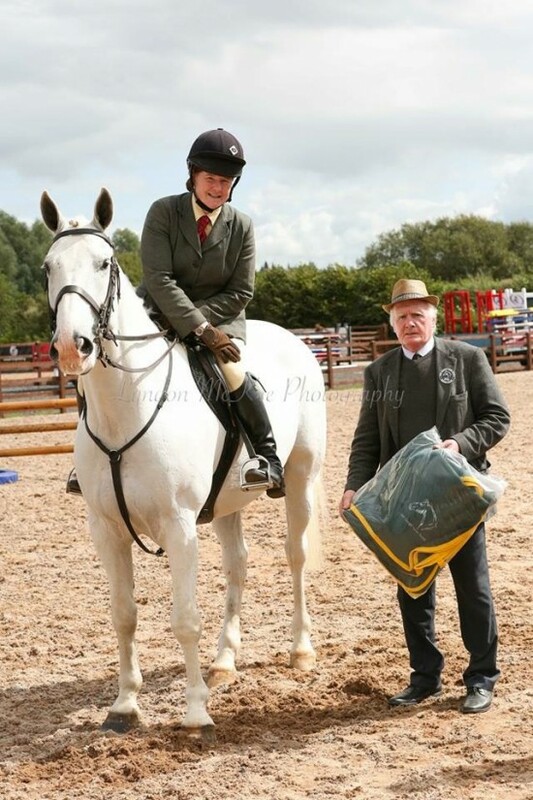 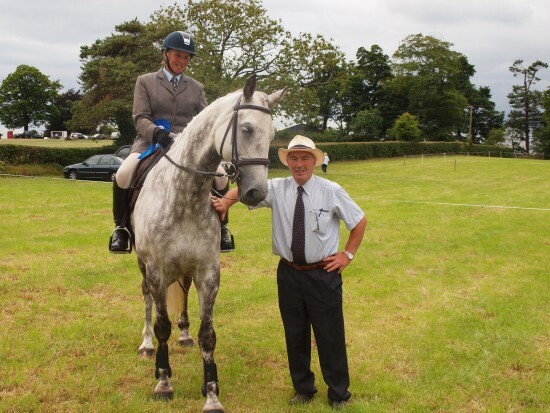 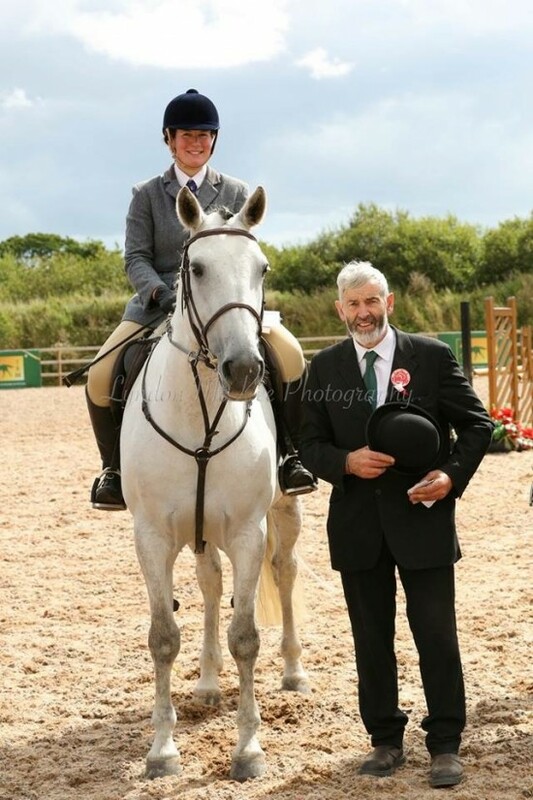 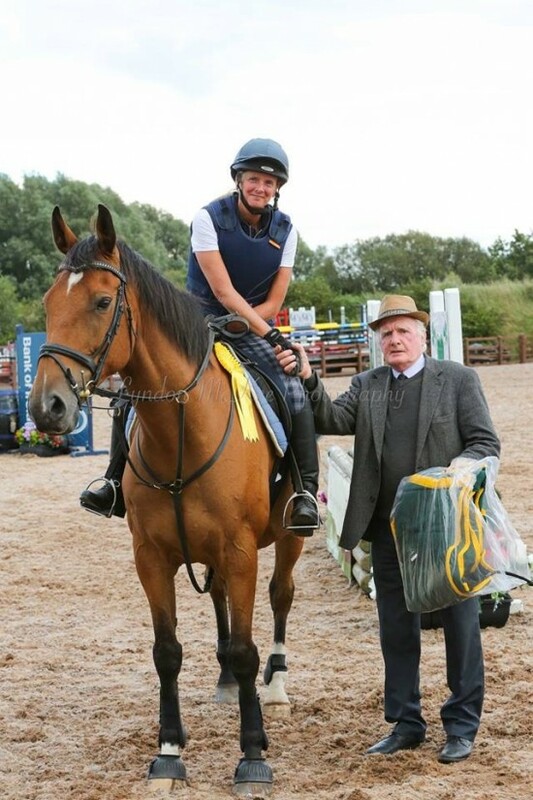 Irish Draught Horse Society Northern Ireland Ltd hosted a very successful Working Hunter and Jumpcross at the Meadows Equestrian Centre on Saturday 25 August. 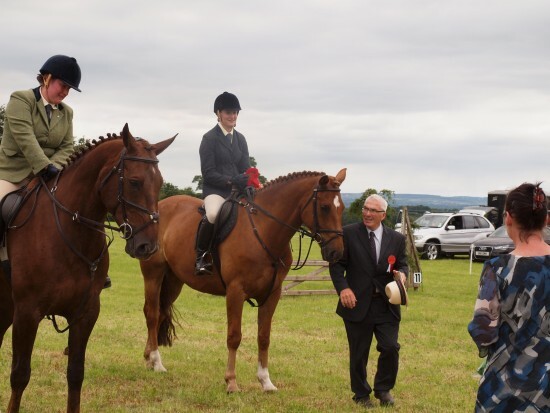 The weather held up for a great competition with high entries in every class. 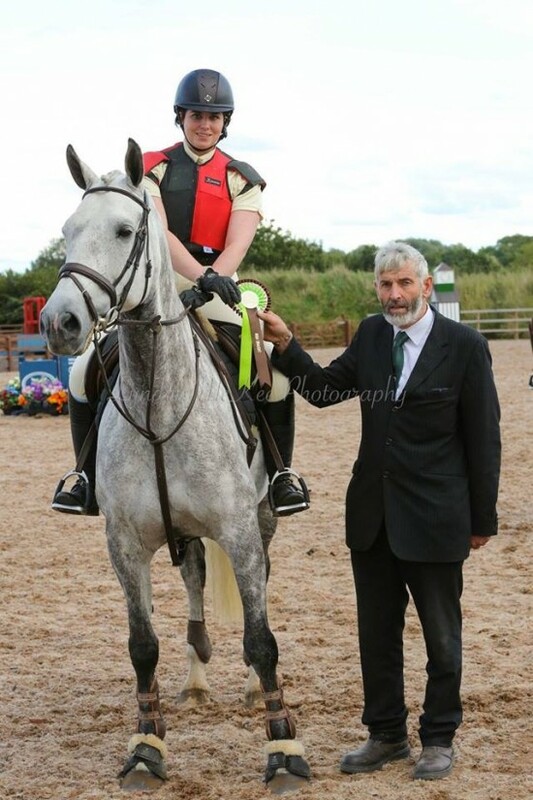 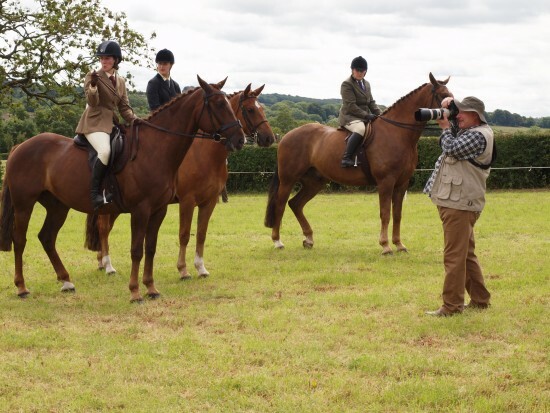 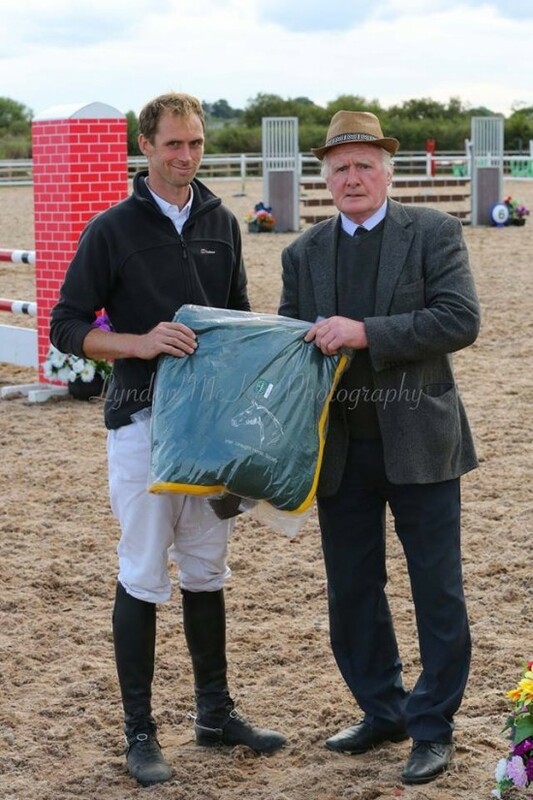 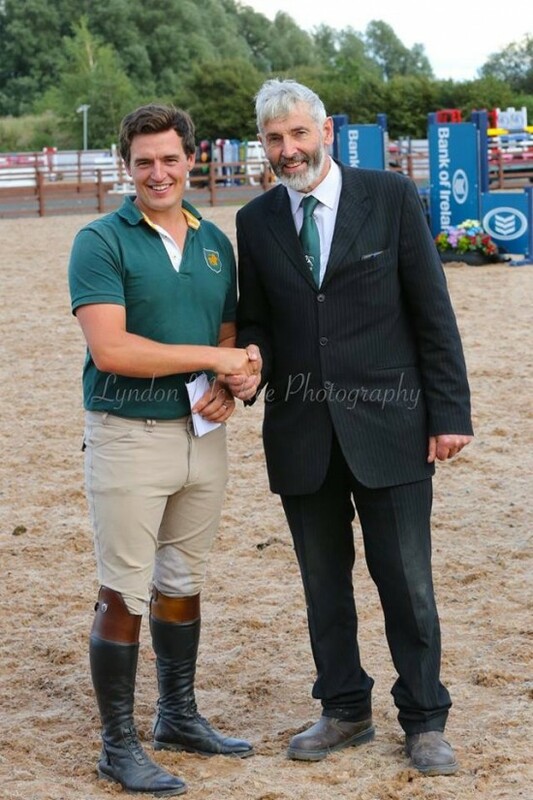 IDHSNI Ltd would like to thank Horse Sport Ireland, Tri Equestrian, Horse First, Murdoch Saddlery and Paul Hughes for their generous sponsorship and Lyndon McKee Photography for covering the event. 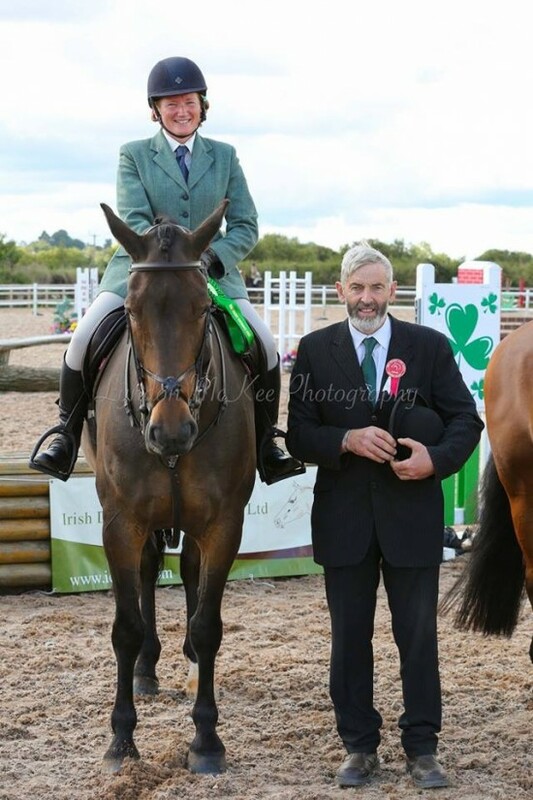 Thanks also to judge Paddy Treanor, all those who helped run the event and all the competitors who took part.